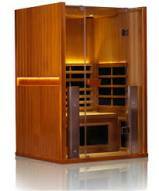 How Does Infrared Sauna Detoxification Remove Contaminants? 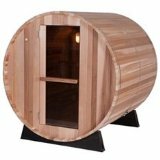 The main claim of infrared sauna detoxification over that of a traditional steam bath detox is that the FIR penetrates deeper into the body’s tissues, up to three inches deeper. But why would that matter as long as you are able to sweat? Isn’t sweating the main goal of an infrared sauna detox anyway? While sweating is one important aspect, the infrared sauna detoxification can do its work because the sauna is producing radiant heat at a much lower temperature (between 120°F and 150°F) than a steam sauna. For that reason, you can tolerate longer detox sessions in an infrared sauna and that offers certain health advantages over steam saunas including deeper tissue penetration using softer radiant heat and a temperature that is safe for all ages and is less harsh on the skin and lungs. The deep healing process is thought to make the body more responsive to sweating. 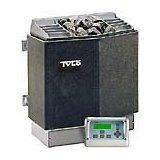 Some studies on the sauna benefits of detoxification have shown that when the sweat of users of a traditional sauna was analyzed, it was found to be comprised of 95 to 97% water, while the sweat of users pursuing an infrared sauna detoxification was 80 to 85% water, and the rest comprised of cholesterol, fat-soluble toxins, metal toxins, sulfuric acid, sodium, ammonia and uric acid. It was noted that the high amount of metals and fat-soluble toxins is not found in sweat after normal exercise. 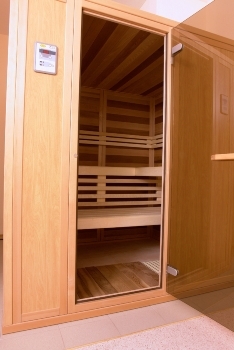 The goal of an infrared sauna detox is to achieve a temporary but safe hyperthermia. This heat stress elevates your body temperature to increase your metabolism and accelerates your body’s natural internal cleansing processes. A “good” hyperthermia stimulates all body functions as the heat therapy reaches the body’s cells directly and causes the heating and healing to occur from the inside out. An infrared sauna detoxification rids the body of bio-toxins that are thought to be responsible for all diseases not attributable to bacteria or virus. In the book Beyond Antibiotics, Dr. Michael A. Schmidt and his associates stated: “Infrared saunas are being used by some doctors to stimulate the release of toxins from the bodies of their patients. Cellulite is the gel-like fatty goo just below your skin. It’s fat, it’s debris, and it’s gotta go. An infrared sauna detox can also help rid you of cellulite through - you guessed it - profuse sweating. European beauty spas use infrared saunas to combat the problem in their clients since infrared thermal heat has the capacity to achieve twice the depth of heat penetration into cellulite combined with up to 10 times the level of heating in these tissues. 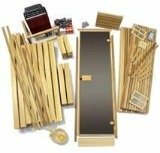 If you are new to the idea of hyperthermia as a heat treatment, you should educate yourself on all aspects of infrared sauna detoxification. Just be sure to properly hydrate yourself before, during, and after any sauna session, and shower afterwards to cleanse your body of the sweat.